NORTH VANCOUVER — You can’t blame Shon Sim for delighting in the recognition his Argyle Pipers senior boys volleyball team has received since their comet-like arrival on the provincial scene last season. 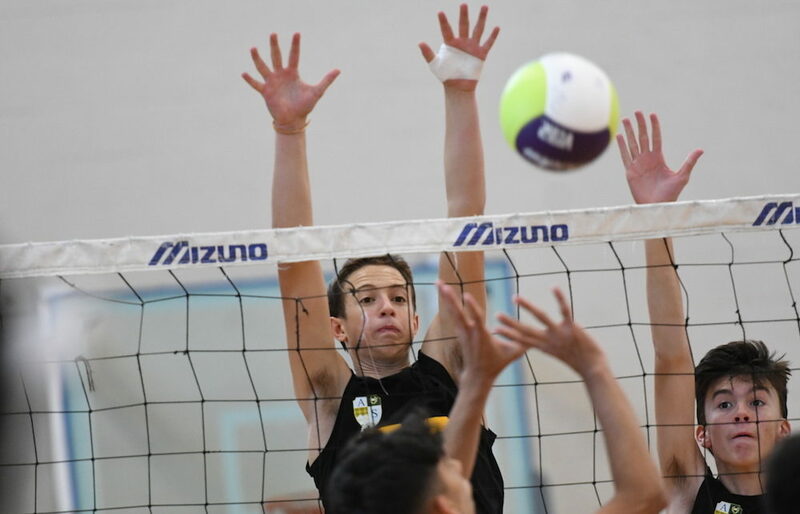 History tells us that boys volleyball had faded away on the North Shore at some stage of the 1990s, yet for much of the past decade, Sim has tried to re-plant its flag through the club system, starting in 2009-10 with the BCO Volleyball Club. That movement reached the high school level last season as a Sim-led Pipers team, started from scratch but featuring some established club talent, not only won the Lower Mainland title, but went on to finish eighth in the AAA tier at the Langley Event Centre’s Big Kahuna B.C. championship tournament this past December. It’s not on the same scale as the massive Mizuno UBC Invitational, which Argyle competed in a few weeks back, along with the likes of B.C.’s No. 1-ranked team, the Earl Marriott Mariners of Surrey. Yet the Pipers made such a sudden rise from anonymity last season, that top coaches like Marriott’s Al Schill couldn’t help but be a little curious back at last season’s provincial tournament. Argyle went on to play Earl Marriott very tough that day in their B.C. quarterfinal clash before falling in straight sets (25-23, 25-19, 26-24), and the Mariners went on to eventually capture third place. However if you happened upon the Pipers’ crossover match the previous day against Kelowna’s Okanagan Mission Huskies, you got a chance to see just how far the program had come in just its first season of play. “We had a marathon against OKM in the round of 16 and I think that’s when other teams really started to notice who we were,” reflected Sim of the five-setter Argyle won 23-25, 25-12, 25-14, 23-25, 15-9. The stars of that team, left side Markus Bratsberg and setter/libero Adam Kartusch, have both moved on to collegiate careers in the CCAA at hometown Capilano University. Yet a number of key players have returned in 2018, including five who contributed from starting roles a season ago. They include a trio of seniors in standout setter Brandon McCaffrey, middle Ethan Gill and libero Cohen Quek, as well as Grade 11 left side hitters Christian Wels-Lopez and Eric Roundhill. Gill and Wels-Lopez are coming back off of Lower Mainland all-stars seasons in 2017. In addition to the five ranked AAA teams taking part in this weekend’s invitational, Surrey’s Fraser Heights Firehawks, Seaquam Seahawks of North Delta and Surrey’s Elgin Park Orcas have also been a part the Top 15 at some point this season. North Van’s Bodwell Bruins will also take part along with Courtenay’s Mark Isfeld Ice, St. Michaels University School Blue Jags of Victoria, and PoCo’s Riverside Rapids. The two semifinal matchups begin 2 p.m. Saturday, with the championship final getting underway at 4:30 p.m.
Action begins at 10 a.m. Friday and 9:30 a.m. Saturday.